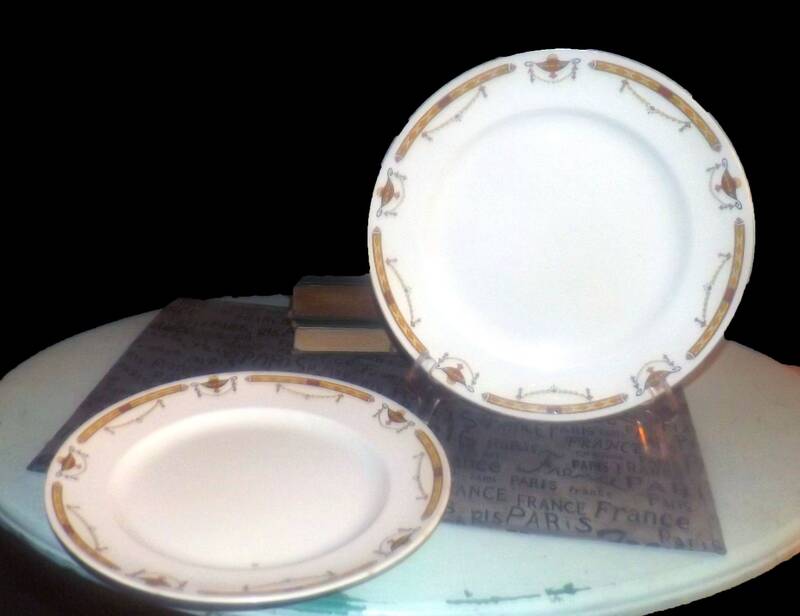 Pair of almost antique (late 1920s) Sampson Bridgwood & Sons | Anchor Pottery Surrey hand-decorated large dinner plates | chargers. 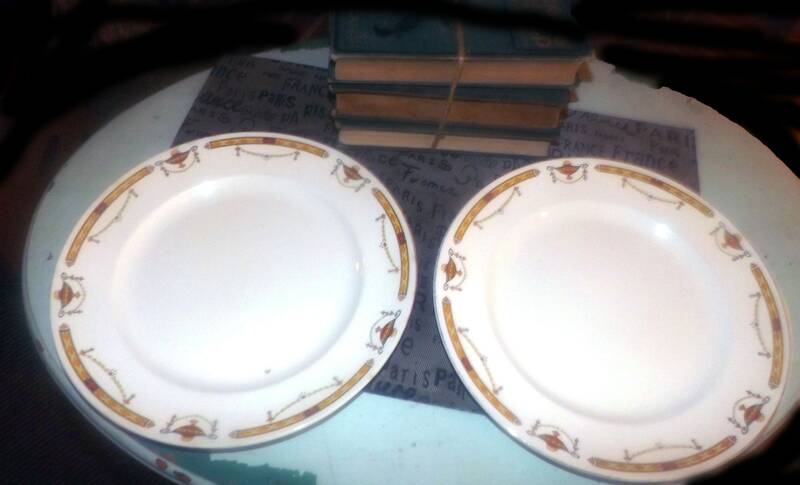 Pair of (2) almost antique (late 1920s) Sampson Bridgwood | Anchor Pottery England art-deco inspired, hand-decorated large dinner plates or chargers. In VERY GOOD! 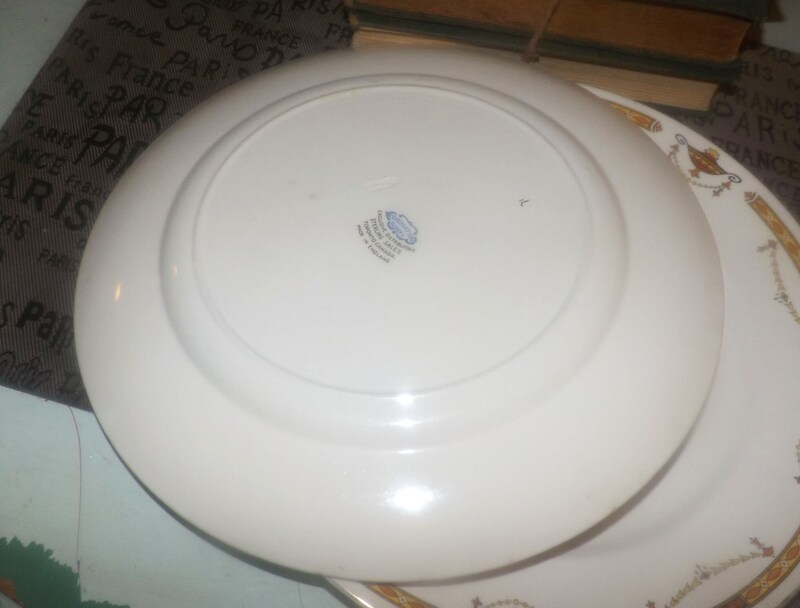 vintage condition, each of the plates has a WEE! fleabite to the gold edge. 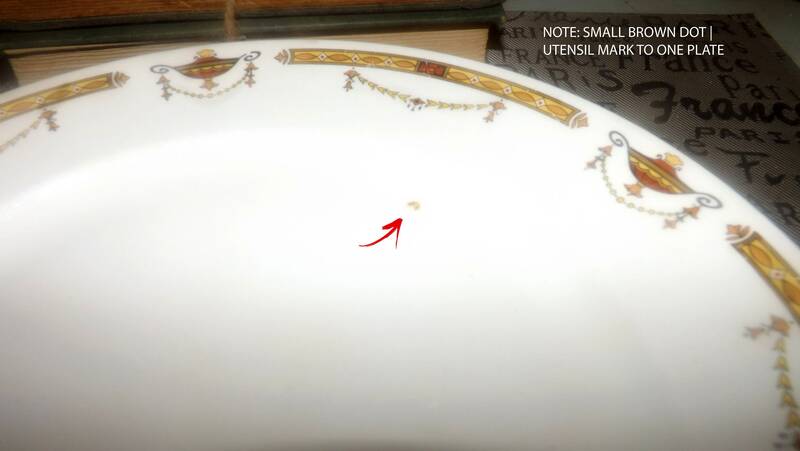 One of the two plates has a small utensil mark to the surface with some resultant browning through it (please review each of the posted photos for a complete visual of the items). Otherwise, there are NO! other chips, nicks, cracks or fleabites and NO! other marks or stains. 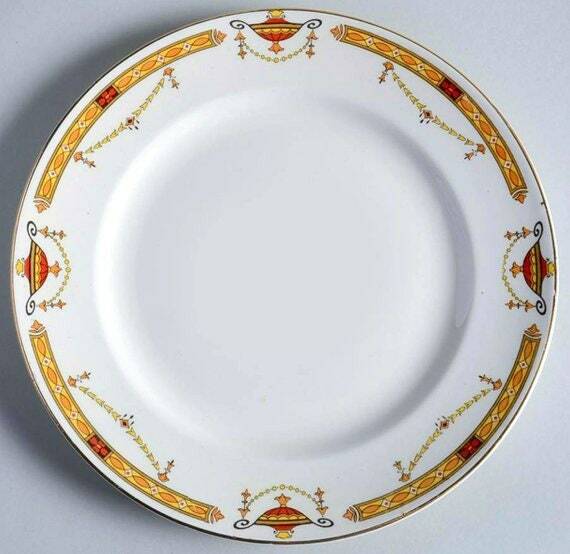 Plates show MINIMAL! crazing for their age. Gold artist's brush marks to reverse. 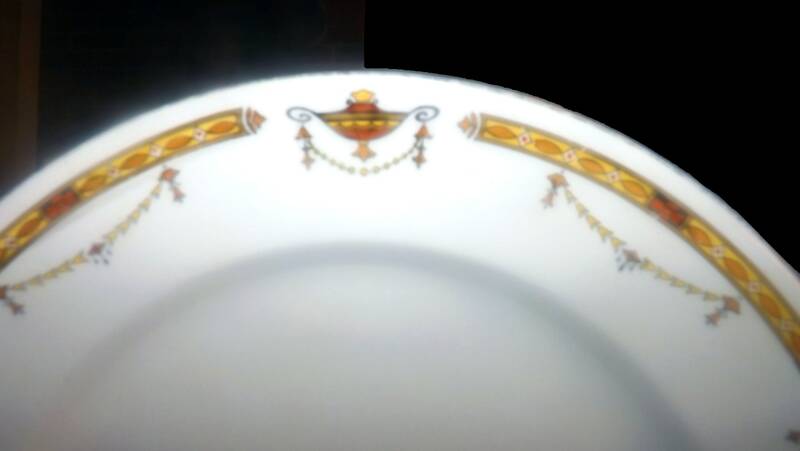 Please note one of the plates bear the Bridgwood stamped and impressed marks of the period to reverse, others bears the Sterling Sales Toronto, Canada distributor's mark. 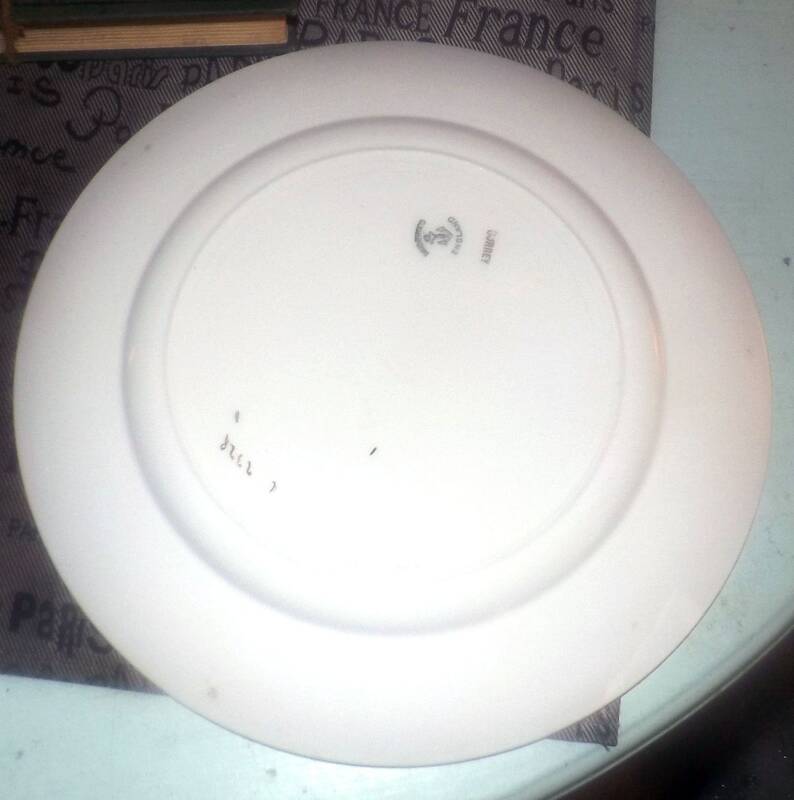 Approximate measurements: 10-1/2" in diameter (measured edge to edge). 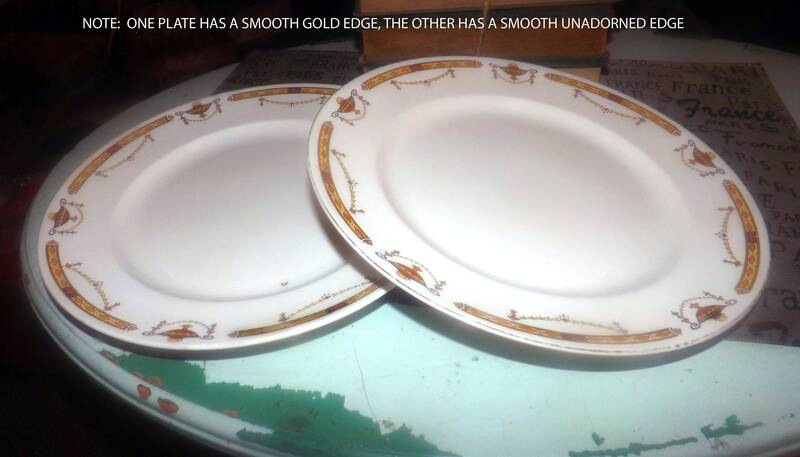 Plate note that one of the plates has a smooth, gold edge while the other plate has a smooth unadorned edge.